Learn about the basic techniques of weaving and how to create different patterns. 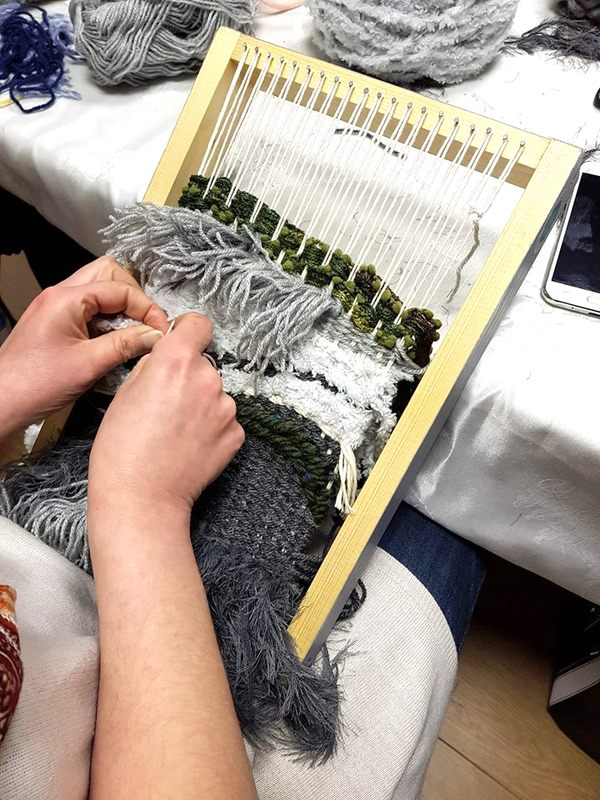 Discover the variety of materials that can be used in modern weaving. Each participant will have the opportunity to create their own unique wall tapestry to take home. £40 per person. Tea/coffee and cake included.